Why now is the time to start thinking about a change of address. There's a whole generation out there that's ready to pack up and move: They're the baby boomers, and a lot of them have just about had it with mowing huge lawns, dusting countless rooms that are now rarely used, shoveling snow, and cleaning gutters. And you might be one of them. So whether you're thinking of downsizing or what's called right-sizing—moving into a spacious and luxurious condo, for instance—we've done some of the homework for you. 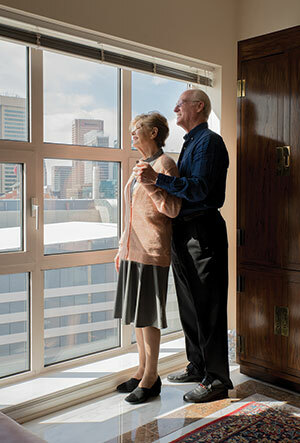 The options run the gamut from golf resorts and waterfront condos to continuous-care retirement communities. We talked to some of the Baltimoreans who have already made their moves to find out how and why their new homes fit their changing lifestyle needs. When Lisa Mason retired, she and her husband, Kip, planned to move from their home in Gaithersburg to a high-rise condo so they could spend time in Naples, Italy— where Lisa grew up—and not have to worry about the security of their untended single family house. Although the couple lived alone, "being an Italian mother, the children had to have their own bedroom when they came to visit," says Kip of the home in Gaithersburg. "So we had to buy a big four-bedroom house for two people." Although they would lose space in the downsizing, moving into a condo would make traveling back to Italy easier, "so that when we leave it for six months a year, we will feel safe that our furniture will be there when we get back," says Kip. The couple's search spanned condominiums from the National Harbor in Washington, D.C., to Rockville and Old Town Alexandria. "But we just kept coming back to Baltimore's Inner Harbor," says Kip. "It's just a spectacular place to live." After looking into waterfront developments from Canton to Federal Hill, the Masons decided on Scarlett Place in Harbor East, a 14-story building overlooking the harbor. The couple loved its proximity to shopping, movies, and dining—plus, Little Italy is steps away across President Street. "Around here, everything is walking distance," says Lisa. Their car spends most days in the parking garage. It took 18 months for the Masons to chose— and close on—a unit on the water side. But the wait was worth it, they say. 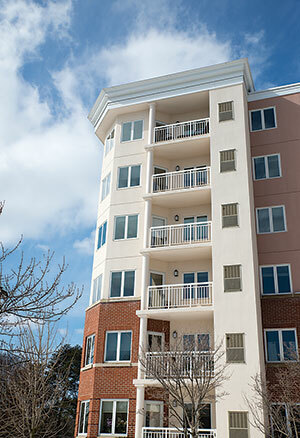 Their 10th-floor, one-bedroom condo provides sweeping panoramas of the harbor in every room. "I love the view," says Lisa, who says it reminds her of her apartment in Naples that looked out over the Mediterranean Sea. Although the couple downsized, they still entertain company. The apartment provides a perfect opportunity to watch the fireworks during their annual New Year's Eve party with other residents of the building. And when relatives visit, the large couch in the living room converts to a comfortable bed. "The security aspect was perfect for us, too," says Kip—access to the front door, elevator, and parking garage are controlled by key cards, while the front lobby is manned 24 hours a day. The Masons also enjoy the sense of community in the building, which is home to people of all ages, from professionals to other retired couples. Despite the fact that they have lived in 13 different locations during their years together, Scarlett Place feels like home. "This is the place I like the most," says Lisa. "It's more like where she grew up," explains Kip. "I would go to Italy and come back, and this is home to me now." COST: Condos start at $235,000. THE PLUSES: Easy walk to shops and restaurants, close to city cultural attractions, water views, 24-hour front desk, attached secure garage, indoor pool, fitness center, and meeting room. After his wife died in 2010, Ned Jarrett lived by himself in their rancher set on two acres in Owings Mills. "It's a pretty lonely existence when you live out in the country," says Jarrett. When he had a mild heart attack two years later, Jarrett decided it was time to sell the home and move to a senior living facility. "I found out I wasn't as indestructible as I thought I was," says the 83-year-old. And he was tired of living alone, anyway. With the assistance of his two sons, Jarrett began looking into Baltimore-area senior communities in the fall of 2012. Although still in good health, he decided to make the move sooner rather than later. "I didn't want to become a burden on the boys," says Jarrett. 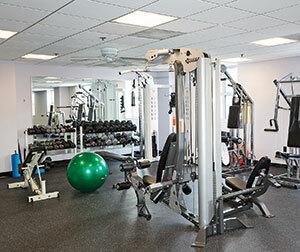 After comparing medical resources offered by various retirement complexes, as well as activities and amenities, Jarrett settled on Blakehurst in Towson. After about six months on the waiting list, Jarrett moved into his onebedroom apartment in June 2013.
sometimes challenging transition for those used to single-family homes. But what he lost in space he regained in the community. "There are people around all the time. In the halls, everybody says, 'Good morning,'" says Jarrett. An alumnus of Gilman School's class of 1949, Jarrett also reconnected with former classmates also living at Blakehurst. With a plethora of activities to choose from, there's something to suit all personalities, from iPad training to golfputting competitions. "I learned how to play croquet," says Jarrett. "I never thought I would." 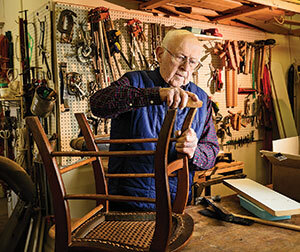 Blakehurst also gives residents the opportunity to keep many hobbies they may have enjoyed in their prior homes, like gardening and woodworking. Jarrett adds, "If you're bored, it's your own fault." While some senior homes have a reputation for ho-hum cuisine, that's not the case at Blakehurst. "The food is absolutely phenomenal," says Jarrett. "You never hear anybody complain." With flexible dining times and multiple facilities, meals don't get repetitive. And family and friends can join residents for dinner or drinks as part of their monthly dining budget. clean. I don't have to worry about that anymore." Most of all, Jarrett values the relationships he's made through the community. "You meet new friends," says Jarrett. "It's been a very pleasant experience for me." COST: Entry-fee pricing begins at $291,000 for a single-occupancy, one bedroom unit. FEES: Monthly fees start at $3,000-5,000. THE PLUSES: On-site health center, two dining facilities, housekeeping, laundry service, Wi-Fi, pool, putting green, woodworking and art studios, croquet courts, billiards and game room, fitness center, and salon, plus activities including iPad classes, professional lectures, opera and concert excursions, day trips, and volunteering. Jude Kotarides and his wife, Carole, never planned to move from their 25-year home in Perry Hall. Yet things changed in 2005 when a volunteer job brought Jude to Bulle Rock Golf Course in Havre de Grace. Once the avid golfer stepped foot inside the Bulle Rock community's welcome center, he was immediately enamored. "I got an overwhelming feeling that I wanted to live in this community," says 61-year-old Kotarides. "I called my wife, Carole, and told her that we should move if we could get our house sold. She was flabbergasted." But her initial shock turned to agreement, and she acknowledged that the Residences at Bulle Rock was a perfect solution. The Kotarideses moved into their new three bedroom home in the spring of 2006. Although the couple didn't reduce square footage with the move, they now have a master suite on the first floor—something important to them as they age. 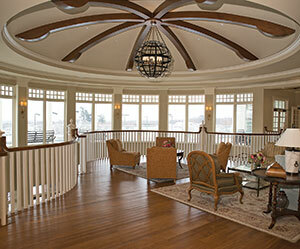 A mix of home types make up Bulle Rock's 27 neighborhoods, each named after Triple Crown horses and venues. The two story, 37,000-square-foot residence center includes a gym, indoor and outdoor pools, spa, and game rooms. Kotarides likes to compare the amenities to "a stationary cruise ship" with lifestyle director Kathy Harper as the "cruise ship entertainment director," organizing events throughout the year like luaus, talent shows, and movie nights. Although the Bulle Rock community is vast, living there fosters a sense of fellowship. 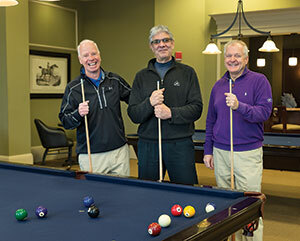 "I've met so many new friends here that were around our age," says Kotarides, who sits on several community boards and is involved with the golf club that helped plan a first annual summer golf tournament in which Bulle Rock's neighborhoods play each other. "You get the chance to meet a lot of different people," says Kotarides. "When I lived in Perry Hall, I might know a couple of people on my street. We might have 20 or 30 neighborhoods here, but they're all in Bulle Rock so you meet a lot more people that you couldn't really get to know in a standard neighborhood." 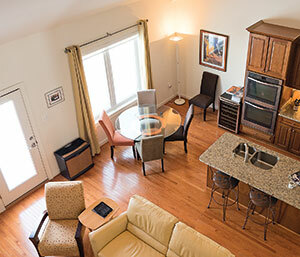 For Kotarides, Bulle Rock's location adjacent to a world-class golf course and the Chesapeake Bay lets it live up to its slogan, "Life imitates vacation." "I have no interest in a vacation home," says Kotarides. "It is the only place that I have ever lived where, after a vacation, I am not sad to come home, but instead enjoy being back." And now, the Kotarideses are joined by their daughter, who recently moved from New York into a neighboring Bulle Rock community. At Bulle Rock, Kotarides has found his forever home. "I pinch myself living up here," he says. COST: Single family homes start at upper $290,000s. FEES: $333 monthly homeowners association fees. THE PLUSES: Five-star golf course, indoor and outdoor pools, billiard and game rooms, spa and sauna, fitness center, ballroom, lawn maintenance and snow removal, and Silks Restaurant at Bulle Rock. Activities include tennis club, gardening club, book club, winetasting club, various committees, golf leagues, kayaks, and fishing. Although David Dukehart isn't retired, the 57-year-old financial adviser had his eye on the future when he moved in 2013 to Rockland Ridge, just off the Jones Falls Expressway in Brooklandville, a new gated community of what will eventually be 72 stone villa-style townhomes. Dukehart sold his five-bedroom house on one and a quarter acres in Phoenix, partly because he wanted an improved quality of life and more convenience. "I also wasn't going back into a big home like that because I wasn't sure of the marketplace," says Dukehart. "For me, this is the right place for now." sooner rather than later. "I am enjoying a smaller home in a neighborhood townhome community," says Dukehart, who has found a sense of community in the neighborhood's social events. "Don't wait until the last minute. Move while you can really get engaged with your community and your neighbors." Living in Rockland Ridge gives Dukehart a sense of freedom, especially when it comes to travel. Not only does the location on the Falls Road corridor allow for easy access to the expressway, the location is close to downtown Baltimore while avoiding Baltimore City taxes. "Not paying the city taxes is really critical—especially when you're saving for retirement," he says. Tucked away in a lush, wooded enclave, Rockland Ridge feels miles away from the hustle and bustle of nearby communities and is just minutes from the trails of Robert E. Lee Park. "We don't see traffic up here," says Dukehart. "I can come and go with ease and travel without worry." to still have guest- room capabilities is really wonderful," says Dukehart. "And to have a full basement with walkout into the backyard is an added bonus." For Dukehart, moving to Rockland Ridge was like returning to his roots. "I grew up three blocks from the old [Memorial] Stadium in a townhome," he says. "That's where my start was. And now I'm back to it." COST: Townhomes start at $575,000. FEES: $215 monthly homeowner fees. THE PLUSES: Snow removal, lawn maintenance, two-car garage, and controlled community entrance gate, plus quick access to I-83 and convenient both to Baltimore City and Towson-Lutherville- Timonium shopping.